The post-apocalyptic world of Fallout was rumored for sometime now to being turned in to an MMO setting. Vault published some screenshots claiming to be from this project and that they come from a very reliable source. The screenshots are said to having been used in court. The graphics on the screenshots look very dated and they might be just long lost screenshots of an old project presented in the court to serve a purpose. I am not entirely convinced that this is evidence of the game being in development. 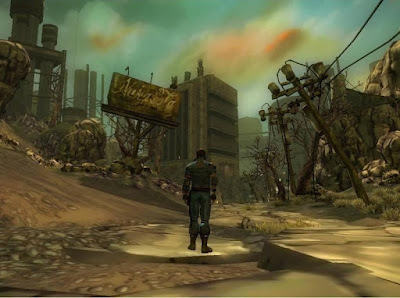 Thanks to an anonymous, but reliable source, I have managed to acquire the very first screenshots from Project V13, which everyone knows is a Fallout Online MMORPG even though Interplay is not allowed to say it because of its legal struggle with Bethesda. As you can see, they show a ruined city, some supermutants and a hero with a 13 on his back. These screenshots were actually submitted by Interplay as court evidence to show that the game is in full production already.